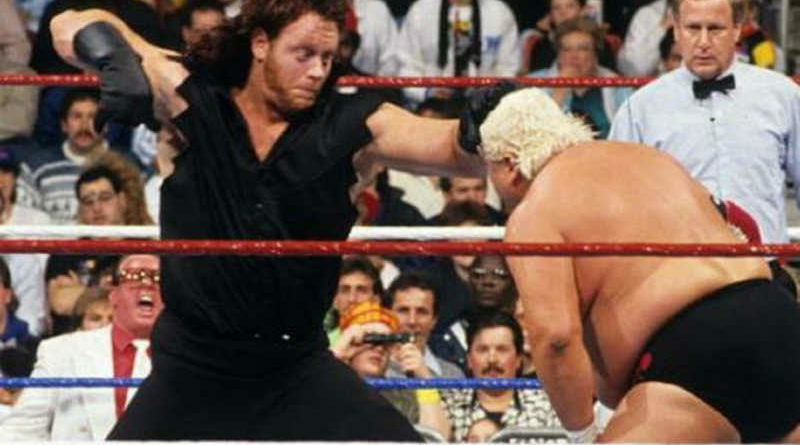 As many know, The Undertaker made is WWF debut at the 1990 Survivor Series. However, this is not the first time I saw him. 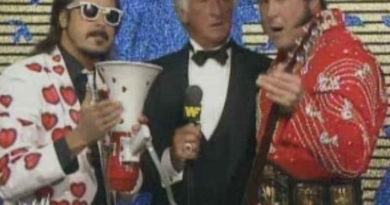 Back then it was not easy to watch the major WWF events. Unfortunately the WWE Network didn’t exist then! I would have first seen Undertaker on a Wrestling Challenge or Superstars of Wrestling. The Undertaker was (and is still) amazing. From the way he methodically walks to the ring and once in the ring; stalking his opponents. This makes him look like many other big giants of the past, moving slowly. The difference being, the other big guys always moved slowly, because they couldn’t move faster. This separated the Undertaker from all of the other big wrestlers. When Undertaker would perform a move, he would show incredible agility. For example, his walking on the top rope. When I first saw The Undertaker wrestle, his matches were short, dominating, matches. After a few of them, I began noticing a trend. I don’t think the Undertaker is actually knocked down in his matches! It quickly became a game of mine. Count how many times The Undertaker was knocked down in a match. It was easy, it was 0. Undertaker only went down on his own moves; like when he would leap up and drop his elbow down. Here is a great example of this. Below is a video of The Undertaker from a February 19th, 1991 edition of Wrestling Challenge. Count how many times The Undertaker is knocked down. I remember one time when I was counting and The Undertaker was knocked over the top rope with a clothesline. I was all set to count. Then, the incredible happened. He landed on his feet. 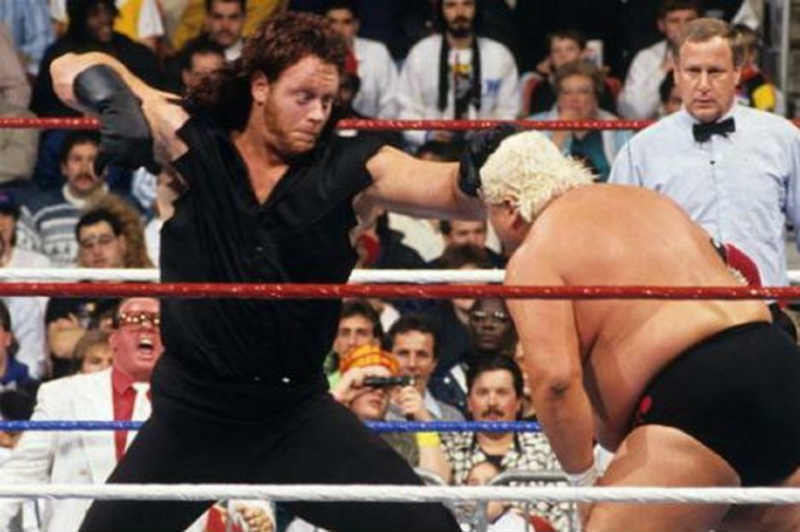 Who gets clotheslined over the top ropes and lands on their feet – The Undertaker, that’s who! If the Undertaker was never knocked down, he would never have been able to do his “resurrection” sit-up. So I guess that yeah, he’s been knocked down.